Something you don’t see everyday! Left handed 514s are a rare beast to see in the wild! The guitar was made in April 2016 and has been looked after perfectly. 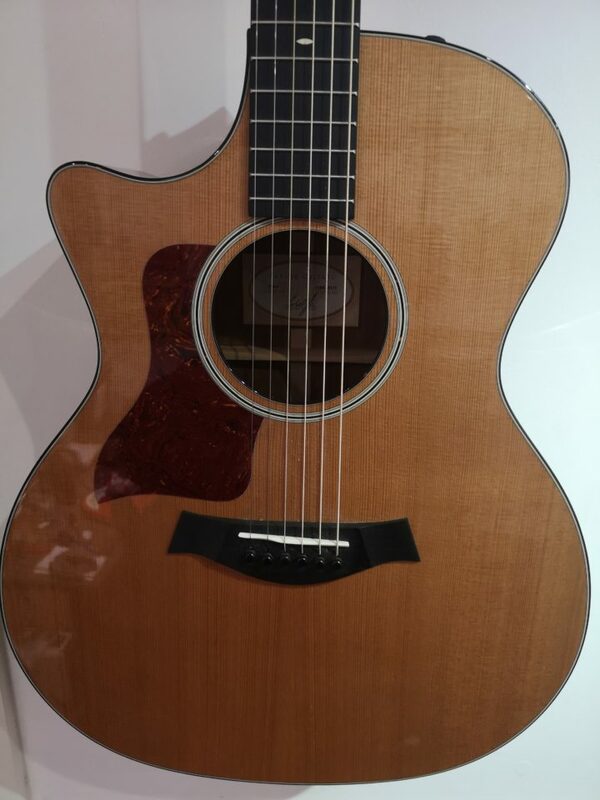 Our instore Taylor tech has set this guitar up the last few years so you can buy with confidence knowing it will be as perfect as the day it left the factory. This combination of Taylor’s Grand Auditorium body and mahogany / red cedar tone woods make the 514CE a really special guitar, with a unique sonic fingerprint ideal for anyone who wants to develop their own signature sound with warmer undertones and rich harmonics. The Western Red Cedar top produces warmth that really shines with fingerstyle playing, but is complemented well by the all-mahogany body which delivers a rich, soulful mid range perfect for strummers and rhythmic chords. As with other Mahogany guitars, it is well suited as part of a band but also behaves well when complemented by the right solo voice. As with Taylor’s ‘Deluxe’ instruments, the 514CE is finished with an all-gloss coating, which gives it a striking on-stage presence and friendly, responsive playability for any level of guitarist. Throwback appointments include a black pickguard, ivoroid binding, and Taylor’s Heritage Diamonds fretboard inlay in ivoroid.